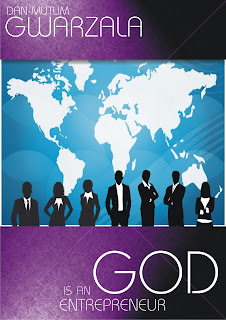 My friend, Dan-Mutum Gwarzala Jamilu contacted me about his book and I was wowed by the title; GOD IS AN ENTREPRENEUR. When he sent me a copy, I was riveted by the book. It is concise, clear and factual. 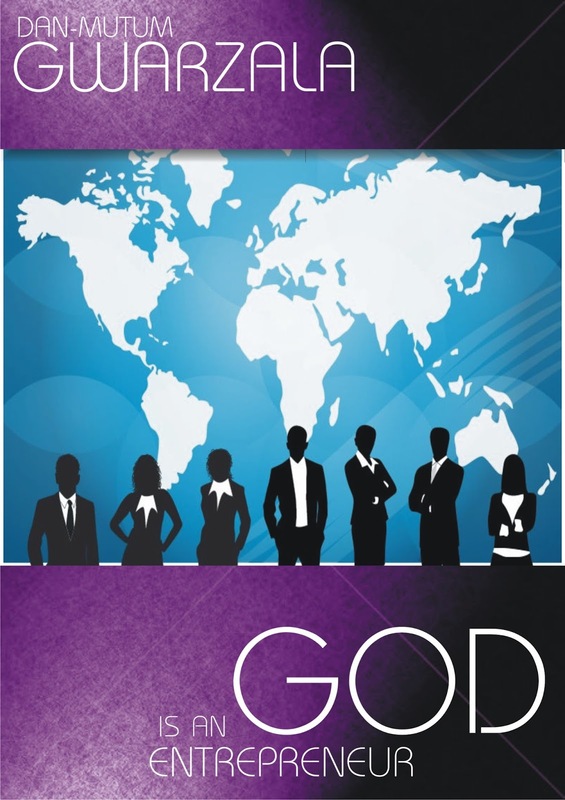 It is an easy read that gives practical knowledge on how we Africans can get our act together and improve our economy and continent. It is a small book, so it means you wouldn’t get bored reading it. While it may read like many leadership and motivational books out there, it is different because it uses models from more advanced structures to proffer solutions to the African problem. Who better to solve our problems than our collective strength as a people? Below is a little information about the writer. Dan-mutum Gwarzala Jamilu is from Adamawa state and is Lunguda by tribe. He is a graduate of Ahmad Bello University Zaria, with a BSc in Zoology. He also had a PDG in Conflict, Peace and Strategic Studies from Kaduna State University. He is a Kingdom Diplomat who is passionate about youth development. He describes himself as ‘….a peace advocate in my own way’. He is the founder of Royal Grill in Kaduna state and he loves reading, football, exercising site seeing and traveling. For far too long we have been sitting around shifting responsibility and blaming our problems on the leadership vacuum in the continent of Africa and refusing to rise to the challenges and demands of our continent to be change agents, initiators, innovators, inventors and freedom fighters (to free ourselves and others from self-imposed limitations). Prayers alone do not change a people, Nation or situation. It involves people – people willing to act, willing to take responsibility and lead themselves and their people to the garden paradise of Life. These are the ones who change nations or situations. For any nation and people to build and develop itself, it won’t take the government, but the entrepreneurs in that nation – the people in the nation – to rise up and take responsibility for their nations, having a sense of nationhood, not sense of self and building the institutions and physical structures (businesses) that will lead to and bring about the development of their nations. Your mind is the sleeping giant and it is expedient that you awaken it – you exercise it daily and develop the creative spark within by developing a systematic thinking process and ability. Until you are ready to place value on yourself, no one will do it for you, it is your responsibility to add value to you and your life which in turn adds value to the society you live in. In my view, this is a very good book to read. So click on the link and get to downloading.